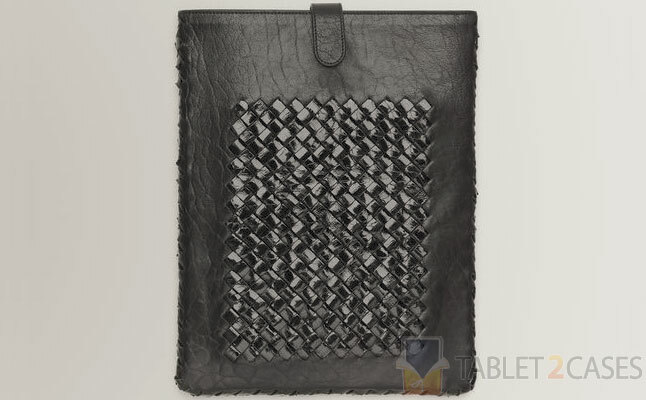 Bottega Veneta presented Nero Intrecciato Lambskin Cobra – a highly stylish tablet designer case crafted out of premium Intrecciato lambskin leather. The exquisite leather is ultra-soft, yet highly durable at the same time and will protect the tablet from bumps and bruises it may encounter during your busy day. 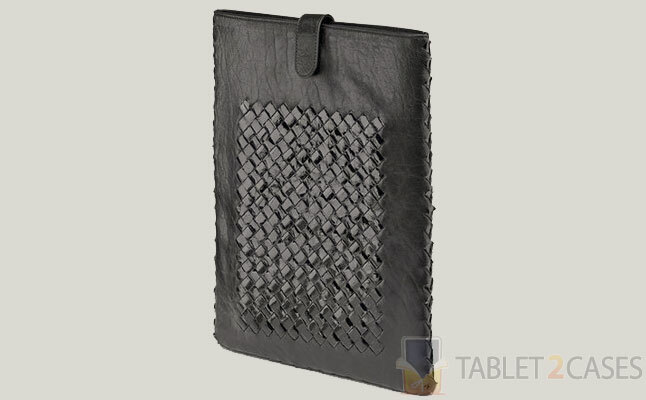 The new tablet sleeve is compatible with the Apple iPad 2 and the new iPad and features a unique cobra detail in the center and at the sides. The new iPad case is ultra slim and features no pockets, making it perfect for traveling light. Careful attention to every detail ensures each and every case is of the best possible quality. The new Apple iPad 2 case comes with a subtle tab closure coupled with a snap button, which ensures the case stays firmly shut and the tablet is safely tucked inside without the possibility to slip out. The combination of minimalist design and one-of-a-kind cobra detail makes this case extremely attractive.